The Whiskystats project came a long way. Now it is time to take the next big step. We hereby officially announce that we started work on completely rebuilding our whisky database. 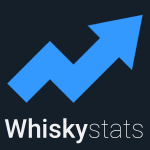 Whiskystats 2.0 is on its way! When this project started-off almost three years ago it´s only purpose was to estimate the worth of a single man´s whisky collection. By now thousands of people use this data and of course have different needs and demands. We listened to your suggestions and requests closely and came to the conclusion that this requires a rework of our database. The plan is quite simple, lifting the data collection and preparation algorithms as well as the database itself to a new technical basis. The major advantages we hope to achieve with this are listed below. By collecting more than 300.000 price observations in the past three years our knowledge of how to do this has increased quite significantly. Now we put all of this know-how to use. As we put a lot of effort in making the data preparation more efficient we will be able to process more data each month. You might have noticed that sometimes it is quite tricky to identify the correct bottle in our database since we do not have images and many whiskies share the same “technical” characteristics. We might have a solution for this, stay tuned! At the moment we track prices of scotch and japanese single malt whiskies only. With Whiskystats 2.0 nothing stands in our way to also include Bourbons, Blends and many more! Of course all of your collections and uploaded images won’t be lost. They will be transferred to the new database. We also plan to give those of you with more professional needs a more direct access to the data. This is not our most urgent issue at the moment but we laid out the technical requirements. Sounds good? We certainly think so and are looking forward to all the projects that Whiskystats 2.0 enables us to do! We plan to get the new database online by July. Please note that until then we will pause our monthly price updates! You now have the possibility to add bottles to your personal collections which are not yet included in the Whiskystats database. This article explains how to create these custom bottles and how to manage them. This topic contains 8 replies, has 5 voices, and was last updated by Wolfgang Rusch 3 months, 2 weeks ago. What auctions will you be tracking now? Well done and congratulations with everything you achieved so far. At the start we will track WhiskyAuction.com, ScotchWhiskyAuctions.com and WhiskyAuctioneer.com. Sounds great, thanks for your efforts. Will you release a beta version? Would certainly test and give feedback (I’m software dev/database guy myself). Thanks for your offers. We will certainly come back to them as soon as we reach some milestones! in the first step we will only replace the old database with the new one. The look and functionalities of the website and the android app will stay the same for the moment. As soon as we start work on new services and the new app we will happily invite you for some beta testing.